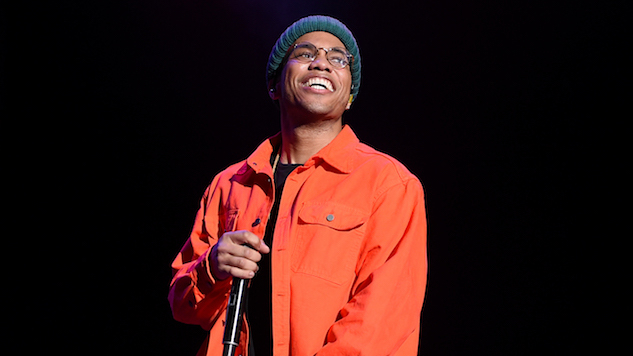 Los Angeles-based artist Anderson .Paak—one of Paste’s Best of What’s Next picks in 2015—has announced his Andy’s Beach Club World Tour, set for early 2019. .Paak will be touring in support of his third LP, Oxnard. The album, named after his hometown of Oxnard, Calif., and released earlier this month, was his most successful yet, debuting at No. 1 on the Billboard Independent Albums chart and peaking at No. 11 on the Billboard 200. Featuring collaborations with artists such as Kendrick Lamar, Snoop Dogg, J. Cole and Dr. Dre, .Paak was in the company of hip-hop heavy-hitters throughout the album and still held his own, rarely straying far from his signature rasp and ladies man persona. The Andy’s Beach Club World Tour hits most major U.S. music landmarks, from Atlanta and Detroit to New York and San Francisco, before heading overseas. Tickets go on sale on Dec. 7 via Live Nation. Check out the tour poster below. .Paak performed two tracks from Oxnard, “Tints” and “Who R U,” on SNL this past weekend. Check out those performances below and find his tour dates further down.